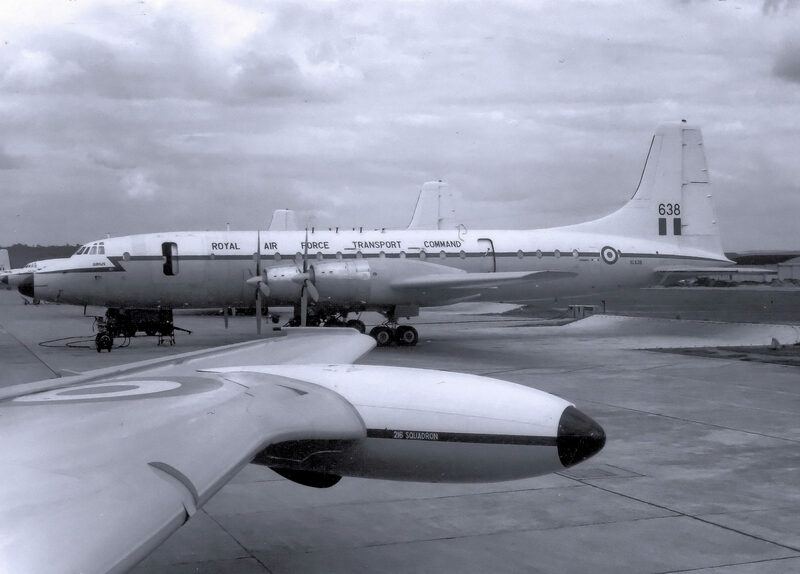 Ordered by the Royal Air Force in November 1955 and built to contract 12829, this aircraft was delivered to 99 squadron Royal Air Force Transport Command on 05 August 1959 and taken on charge on 07 August, serialled XL638 and named ‘Sirius’. Following the ‘pooling’ of 99 and 511 Squadrons Britannia fleets at RAF Lyneham, XL638 was operated within the pool from 30 June 1960. XL638 ‘disgraced’ herself on the night of 12 October 1967 when she overran the runway whilst landing at RAF Khormaksar, Aden. Unfortunately she was damaged beyond repair and written off. 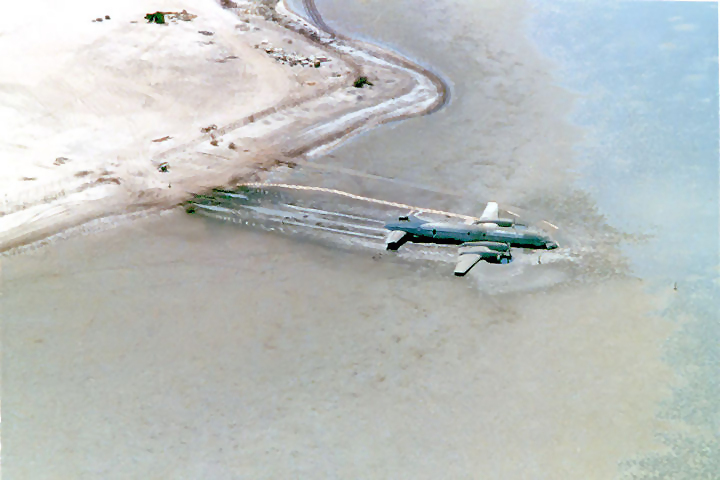 Thankfully no lives were lost and any injuries were minimal and so the Bristol Britannia in RAF service kept her unblemished record …apart from this little episode! Because of the close proximity of the aircraft to the runway following the accident, it was decided to remove the tail section by an extreme measure …it was “snapped off” using a tractor and chains! XL638 had flown 9372 hours and made 3700 landings and was basically left to the ‘locals’ after the British withdrawal from Aden.